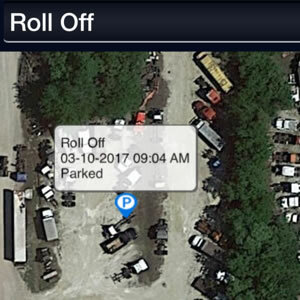 Roll Off Dumpster Rentals - Dumpit.biz Lafayette LA. We supply all roll off dumpster sizes for any type of job. 10-30 yard containers and concrete containers at nearly any location you need. Container sizes and dimensions are listed below. Our 15-yard roll off dumpster rentals are ideal for smaller jobs. If you are in need of a construction waste container for something such as a home remodeling project, a 15-yard container will suit your needs. Whatever the size and dimensions needed for your rental may be, we have the best rates and service for dumpster rental in the Lafayette and surrounding areas. Give us a call for our standard amazing dumpster rental prices. 20 Yard Container, is ideal if you don't have too much space at the work site. A 20 yard roll off is ideal for anyone looking for a good sized dumpster, but doesn't have too much space at their work site. Renting one of our 20 yard dumpsters is the perfect choice for handling the debris of shed renovation, or a large home remodeling project. Another great aspect about renting a 20 yard dumpster is they are not so large that they can't be loaded easily, but they are large enough to handle most needs. 30 Yard container for construction or demolition jobs. When a 20-yard unit just isn't enough to handle the needs of your construction or demolition job, turn to a 30-yard dumpster rental. A 30-yard container can handle around nine pickup truck loads. If you are undertaking a major construction project, you can count on us for the best waste removal experience and price to help you get the job done. Your Dump It team strives to provide you with an unparalleled level of support, planning assistance, and customer service for any size project or event. We understand the demands associated with a wide range of customer needs including proper planning, reliable service, timely delivery, rapid response, clean like-new restrooms and much more. We have the ability to deploy equipment quickly when you need it most. To avoid letting your waste removal budget getting out of control, do not materials stick out above the top of the container. Do not put unacceptable materials in the roll-off listed below.